Frankly speaking, the formatting doesn’t wipe the drive completely. Files inside the flash drive are just invisible. You can easily retrieve them as long as they have not been overwritten by new data. So to recover files from formatted flash drive, the first thing you need to do is to stop using your flash drive. Then you can come to internet to find a data recovery program that works for Mac. 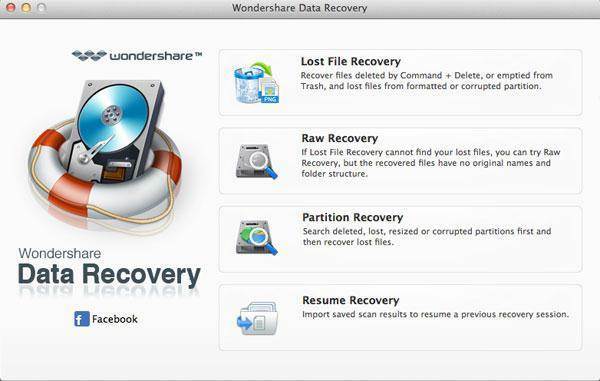 Wondershare Data Recovery for Mac or Wondershare Data Recovery is my recommendation for you. It is compatible for both Windows and Mac OS. You will be able to recover document files, photos, videos, audios, archive files and even emails from your formatted flash drive. The flash drives supported by Wondershare Data Recovery include SD card, SDHC card, MMC card, CF card, Memory Stick, etc. 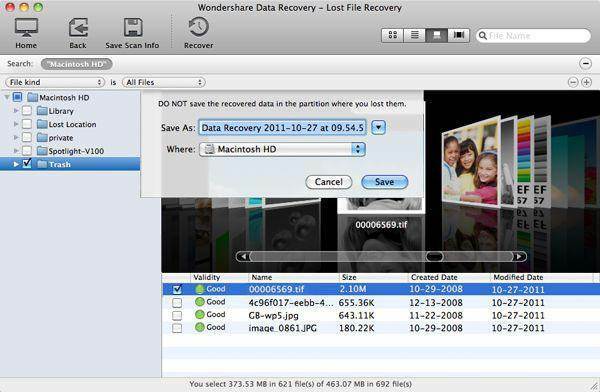 You can download the trial version of Wondershare Data Recover and then start the formatted flash drive data recovery on your Mac. 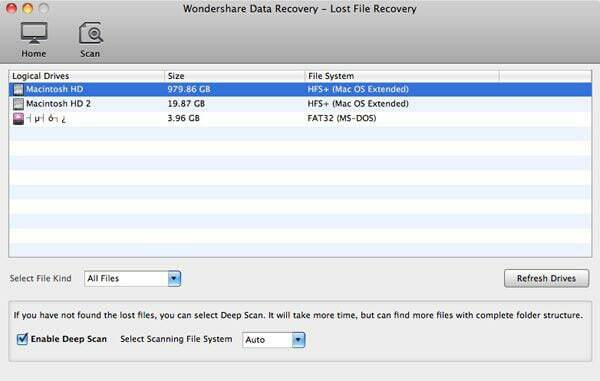 Here we process the recovery with Wondershare Data Recovery for Mac. Windows users please download the Windows version. Install Wondershare Data Recovery for Mac on your Mac and run it, you will be offered with 3 recovery modes in the start interface. To recover files from formatted flash drive, you can select “Lost File Recovery” mode to continue. Note: Since the recovery will be done on your Mac, please make sure that your flash drive is well connected with your Mac. After selecting “Lost File Recovery” mode, the program will list all logical drives in your Mac, including your flash drive. You just need to select your flash drive and click “Scan” to search the flash drive. Note: You can also “Enable Deep Scan” for a better scanning result. After the scan, all found contents will be listed according to file locations. You can check file validity before recovery. Also, you can preview photos, emails, documents and some of audios and videos. In the end, you just need to select files you want to retrieve and click “Recover” to save them to your Mac. Note: Please do not save the restored files to your flash drive immediately after the recovery. Otherwise the recovery might fail.